I have tried and tried to make biscuits like my mamaw (that’s grandmother in southern) or my aunt, but they do not live up to my heritage. I have even stood by and watched my aunt trying to figure out her secret. (She doesn’t measure anything! She just makes them by the way they feel.) Anyway, I have been unsuccessful in all of my attempts to recreate my family’s biscuits so I have moved on to Dorie Greenspan again. I have been making a sweet potato biscuit of hers for quite sometime and they are amazing. 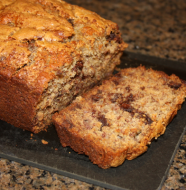 I will definitely share that recipe soon. One night we had friends over for dinner, and I decided to look to Dorie for inspiration again. I saw this recipe for sweet cream biscuits. I had cream on hand so I threw them together in no time. Let me tell you as a Southerner and an expert biscuit eater, these biscuits are scrumptious. Using a 1 1/2 – 2 inch biscuit cutter cut out as many biscuits as you can. Cutting them as close to one another as possible. 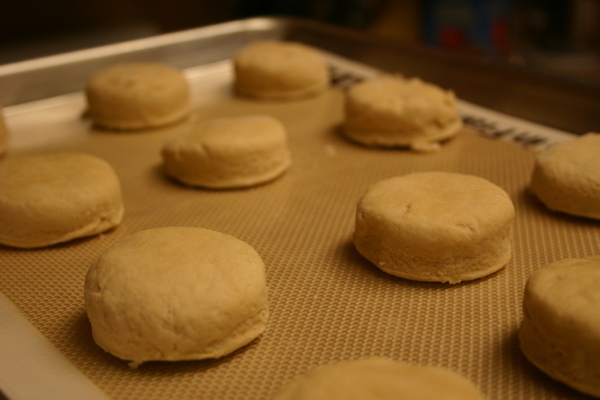 Transfer the biscuits to a baking sheet lined with parchment or a silicone mat. Gather the scraps together and pat them out again to a 1/2 inch thickness and cutting out more biscuits until all of your dough is used. 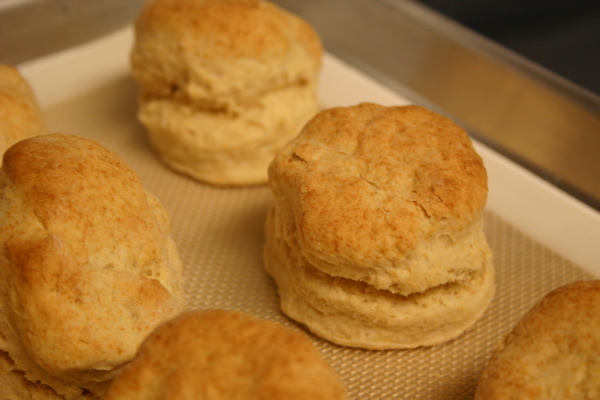 Bake the biscuits for 14-18 minutes, or until they are tall, puffed and golden brown. Serve them with honey, jam, sausage and gravy or just by themselves. *After cutting the biscuits out you may them freeze them for up to two months if wrapped well. 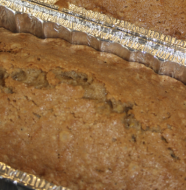 Bake them without defrosting but adding a few minutes to the baking time. It may not be the recipe handed down from my mamaw but it is a keeper and I will definitely be handing it down to my children. 4 Comments on "Sweet Cream Biscuits"
Made them a second time and some extra to put in the freezer. What I am excited about is I had one the next day and thought they will be fabulous “day old biscuits” for homemade strawberry shortcakes. We go to Plant City (in FL) every March for the Strawberry Festival. I can’t wait to bring home a flat of berries and make my own! Thanks again. Thank you for this recipe. It has become our go to recipe for biscuits. They are wonderful and so easy to make!